Section of Jubilee politicians have advised President Uhuru Kenyatta to ignore the ICC summon to a status conference on October 8. Led by Kiambu governor William Kabogo, he surprised many when he declared that he is ready to go to the Hague instead of President Uhuru Kenyatta. 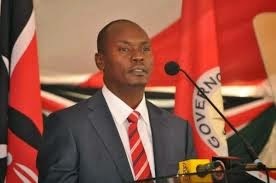 It is not the first time Kabogo has offered to attend court in Kenyatta's place. "We are not going to surrender Kenya's sovereignty to another nation," he said during the SDA church fund raising at Githurai Kimbo. Nyandarua women's representative Wanjiku Muhia said the ICC is for idlers. "I accompanied the president and his deputy to the Hague and we were idle the whole day. Bensouda wants Uhuru and Ruto to idle at the Hague for a whole day," she said. Kathiani MP Kaindi Kea said Uhuru was duly elected and asked him not to go to the Hague. Kea's sentiments were echoed by Thika Town MP Alice Ng'ang'a and her Ruiru counterpart Esther Gathogo.Gatundu North MP Kigo Njenga asked the ICC to dismiss the cases against Uhuru and Ruto saying they had taken too long due to lack of evidence.